Theme: "Smile you are on Candid Camera." How nice to welcome Hard G and C.C. back to Friday, their first visit to my patch since last May. Appropriately for C.C. as a baseball fan, we have the old hidden ball trick, where the name of a popular camera manufacturer is found spread between the words of each of the three theme answers, with a classic reveal. Some really sparkly fill like RNA spelled out, PLUMMETS, NITROGEN, DERISIVE and ARCANE just to name a few. We also have some clecho, some arcane stuff that's fun to learn So let us do this. 19A. "This will get better, I promise" : IT GROWS ON YOU. (12) For some reason SONY jumped right out at me once I filled in the answer, which took a while, as I had to resort to doing the down clues first to get a toehold. Did not know if perhaps TVs were going to be the theme. 31A. "That's surreal!" : I CAN ONLY IMAGINE. (15) The CANON sure shot being perhaps the most advertised of all cameras. 39A. Substance usually abbreviated : RIBONUCLEIC ACID. (15) (RNA) LEICA a very quality camera brand mentioned recently here. 53A. Surveillance device found in 19-, 31- and 39-Across : HIDDEN CAMERA. (12) It says it exactly, a camera hidden in each theme answer. A very conventional theme and grid with many fewer words than we have seen on Friday recently. 1. Manhunt msg. : APB. All Points Bulletin. 4. Facebook exchanges, briefly : IMS. Instant MessageS. 7. Put up a fight : BATTLE. 13. Nose-dives : PLUMMETS. Whenever something is falling to Earth, it is plummeting. Nice word. 16. Frozen, maybe : AFRAID. Very misleading, and while fear makes people freeze in their tracks, it took perps to get this one. 17. Toy mentioned in "The Chipmunk Song" : HULA HOOP. 18. Shade at the beach : BRONZE. Umbrella would not fit, so it had to be a shade of skin tone. The clecho: 10D. Shade at the beach : TAN. 21. Executes : DOES. We are not killing anyone here, just doing things. 22. Sault ___ Marie : STE. Saint abbreviation in French. 27. Prepare for chewing : TEETHE. I loved this one, especially as Charlotte now has two bottom teeth. 30. PC hookup : LAN. Local Area Network. 37. Calculating : SHREWD. Related to Shrew as in the Taming of? 38. Military fleet : ARMADA. Back this week as fill not clue. 43. "Microsoft sound" composer : ENO. Mr. Muzak, Brian-the man in your ELEVATOR. 44. Arkansas River city : PUEBLO. Why these are in Colorado, I do not know. 45. "Star Wars" title : DARTH. and the clecho 65A. "Star Wars" title : SIR. DARTH is Sith for Lord, as he was also called Lord Vader. In later movies (set earlier in time) we have Darth Maul which is a great name. Sir, I presume refers to Sir Alec Guinness who plays Obi-Wan Kenobi, who said, "Who's the more foolish, the fool or the fool who follows him?" 48. Detriment to team performance, maybe : EGO. Who are your least favorite athlete? Is it a big ego who did nothing, like Brian Bosworth, or someone on a successful team who wants all the credit. 49. Master of ___ : ARTS. For some reason, I first plunked in ARMS. 57. Not widely understood : ARCANE. From the Latin word meaning secret, I always thought of it as mostly forgotten knowledge, though it is a wonderful crossword fill, and talking point. Are arcane words fair game to use in puzzles? 60. Air, mostly : NITROGEN. Love this clue as well since 85% of our air is nitrogen. 61. Where lizards hang out? : LOUNGE. Very sweet clue; are they lizards because of their cold nature? Their forked tongues? Their shoes? 63. Lifted (up) : PERKED. up my day. 64. '70s kidnappers: Abbr. : SLA. Symbionese Liberation Army. Think Patty Hearst. 1. Farm pest : APHID. I put this in immediately and then thought about the fact that these pests are all over flowering plants and had to check the perps to be sure. 2. 1930 Clyde Tombaugh discovery : PLUTO. The P from APB gave me this, but he seems very interesting, suggesting the need for the scientific study of UFOs. 3. Love handle? : BULGE. The never ending Battle. 4. Online "Just saying" : IMHO. In My Humble Opinion. Not sure why the opinion needs to be humble. 5. "Got milk?" : MEOW. Cute, like our 'let me out' last week. 6. Self-named Fox Business show : STOSSEL. I liked him since watching his personal revelations about his struggle with stuttering. LINK. 7. New addition of a sort : BABY. Charlotte is now 7 months old; tempus really fugits these days. 8. Big dos : AFROS. 9. Rainbow ___ : TROUT. I wanted BRITE so badly. 11. Songwriter Phair : LIZ. She also is a PERFORMER (2:39) who many feel has not ever lived up to her potential. 12. Back of a stamp? : EDE. If this one licked you, do not worry, it is just a StampEDE. 14. Viking landing site : MARS. Two planets in one puzzle, cool. 15. On-again, off-again : SPOTTY. 20. Vintage pop : NEHI. Radar O'Reilly's drink of choice, grape please. 24. Of a hip bone : ILIAC. Not to be confused with the ILIAD. 26. 1984-2002 honorary Masters starting group member : SNEAD. Slammin' Sammy, one of the trio of golf legends born in 1912 who were featured in this fine PUZZLE. 27. Dot on a map : TOWN. 28. Turn out : END UP. 29. Virus carrier, at times : EMAIL. Simple, classy fill. 31. "The East ___": 1960s anthem in 32-Down : IS RED. No doubt an important part of C.C. 's childhood, this SONG. 32. Nepal neighbor : CHINA. More hometown stuff for our leader, this buffer country between China and India is historically and politically important and now friendly with China. LINK. 33. Place out of the sun : ARBOR. We already had shade as a clue, so it had to be something else. 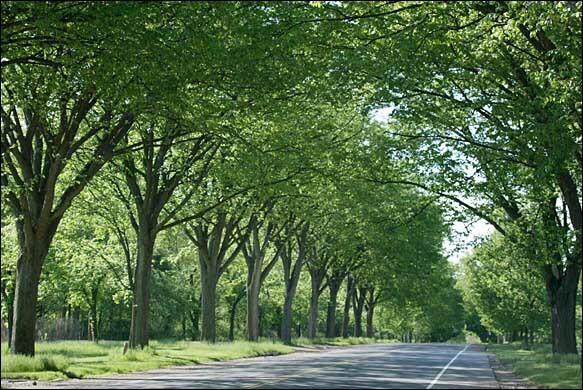 Do they celebrate Arbor day where you love? 34. Revival prefix : NEO. 35. ___ Arena, former Sacramento sports venue : ARCO. The first sports venue named for a sponsor (Atlantic Richfield Oil, now part of BP, is in its second location, and is now called the Sleep Train Arena. Really! 36. "Today" rival, initially : GMA. Good Morning America, not be confused with GMV.(2:07). 40. Signaled : CUED. Cue the dancing hippos. 41. Daniel Boone, e.g. : LEGEND. 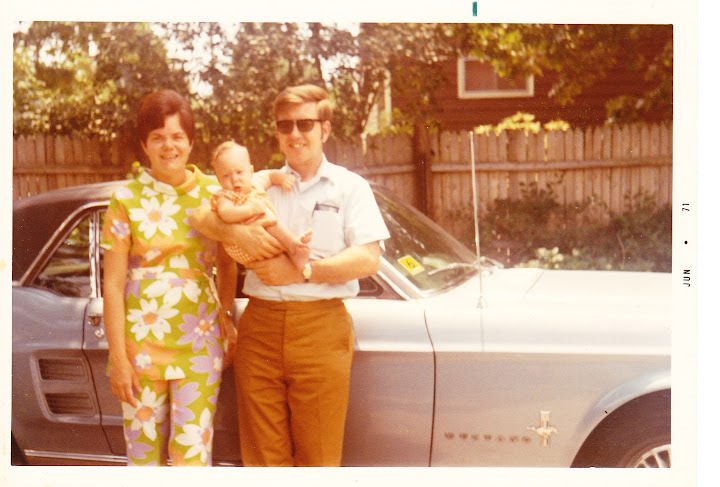 I was more a Davy Crockett kid. 42. Black keys : EBONIES. Not the IVORIES. (3:41). I hope the video tickled your fancy. 46. Show appreciation to : THANK. I thank C.C. for the Corner and her amazing creations, solo and collaborative. 49. Big name in cookies : AMOS. You might even say he is famous. 50. Longtime morning co-host : REGIS. Does Kelly miss HIM? 51. Eternal City fountain : TREVI. Or as we call it la Fontana di Trevi. 52. Less likely to lose it : SANER. As Thomas Eagleton said, "if they say I am 5% mentally disabled at least I can prove I am 95% sane." 54. Legal document : DEED. Real Property, and what I do for a living, part of the time. 55. Shortcut key : CTRL. Alt. Delete. Oops you are all gone. 56. Solo delivery : ARIA. Not horse or soap. 57. Mont Blanc, e.g. : ALP. The mountain, not the PEN. So do you like or hate the Mountain as he rides off with Arya? 58. 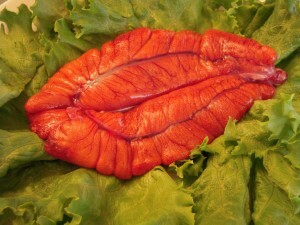 Canapé topping : ROE. fish eggs like from Shad. 59. Blackguard : CUR. I love the word Blackguard. Cur probably comes from ancient languages version of GRR, meaning to growl and first meant a mongrel dog. But is has become synonymous with bad people, for example Wyatt Earp called the Clantons curs in the movie Tombstone. (per wiki). Well this week and this puzzle flew by, though I savored the solving, it was nice to see so few 3/4 letter fill. 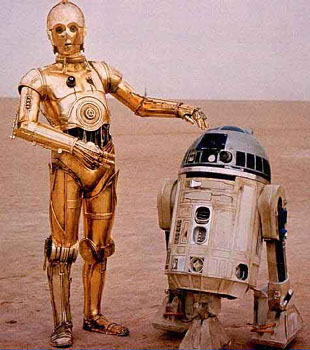 A pleasure blogging our Dynamic Duo, and maybe off to watch the new Star Trek movie. Good to see how many newbies are becoming regulars and always great to see any of the 2008 crowd. Sorry to see San Jose lose, just for Eddy B. Four common phrases get a fresh new meaning with the addition of "al" to the entries. 20A. Wriggler's waterway : CANAL OF WORMS. I don't want to open a can of worms, here! 33A. Mail carrier's romantic activities? : POSTAL DATING. I wonder if they will be post dating their check for the meal? 42A. Fortress for summer shoes? : SANDAL CASTLE. A sand castle on the beach wouldn't be a very good fortress, especially if you have a lot of Jimmy Choo shoes! 58A. Collage of potpourri bits? : PETAL PROJECT. One of my pet projects would be to do something with all the petals falling from my dogwood right now. This is Peg Slay's debut puzzle, and it is an honor to welcome another constructor to our little corner! If it weren't for the pun-ny theme, this puzzle would do very nicely in a Monday slot. The clues were ratcheted up a notch to make it Thursday-worthy, so let's see the handiwork. 1. It's a lock : YALE. So it is. I wondered "hair?"..."bolt?"..."hasp?" 5. Jostle : ELBOW. Like kids trying to be first in line at the ice-cream truck. 10. Niña or Pinta : SHIP. 14. Pressed into service : USED. I can't help but think someone will use this clue for "ironed" some day. 15. Fox's "War Stories With Oliver ____" : NORTH. Never heard of it, but easy enough to suss. 17. Sporting, with "in" : CLAD. 18. Raccoon relative : COATI. Awww. 19. Suggestive look : LEER. 23. Flik in "A Bug's Life," e.g. : ANT. Fun movie with Dave Foley playing the role of Flik. 24. Like some narratives : ORAL. 25. Connect (with) : LIAISE. Literally, to communicate and maintain contact (with). 32. Source of tricks? : BAG. 37. On the calmer side : ALEE. 41. Bad day for Caesar : IDES. 48. Objecting word : BUT. 49. You can get down from them : EIDERS. Fun clue! 53. Concert harp parts : PEDALS. 55. Artistic structure : FORM. So many possibilities for the clue. 64. Poetry muse : ERATO. 66. "King of New York" director Ferrara : ABEL. Never saw the movie. Strong violence is not my cup of tea. 67. Gardener, at times : RAKER. Ohhh, my back! I finally got my flowers planted this week. 69. Oldest British service branch : NAVY. 70. Vehicles on runners : SLEDS. 71. Pentathlon weapon : EPEE. Shooting, swimming, equestrian and cross-country running round out the other four events in the modern pentathlon. 1. Desert plants with sword-shaped leaves : YUCCAS. I have three of these in my garden. So what did I put for an answer? "Agaves." D'uh! 2. Italicized : ASLANT. "A" word! 3. Rough house? : LEAN-TO. Anyone else want "tussle?" Nice misdirection. 4. 13th-century Scandinavian epic : EDDA. 5. Numbers that aren't programmed : ENCORES. Here's where Thursday clueing shines. Totally flummoxed me until I got some perps in place. 6. Fibrous sponge : LOOFA. I put this in, then took it out because I thought it was spelled "loofah." But I see that LOOFA is an alternate sp. 7. Melee : BRAWL. Ah, here's where the roughhousing comes in! 8. Sgt. Snorkel's bulldog : OTTO. Desper- shout out? 10. Spicy condiment : SALSA. 11. Color wheel unit : HUE. 12. Argumentative state : IRE. 13. What amateurs rarely shoot : PAR. Husker G., how'd you do today? 21. Eye on CBS, e.g. : LOGO. For more than 60 years now. 22. 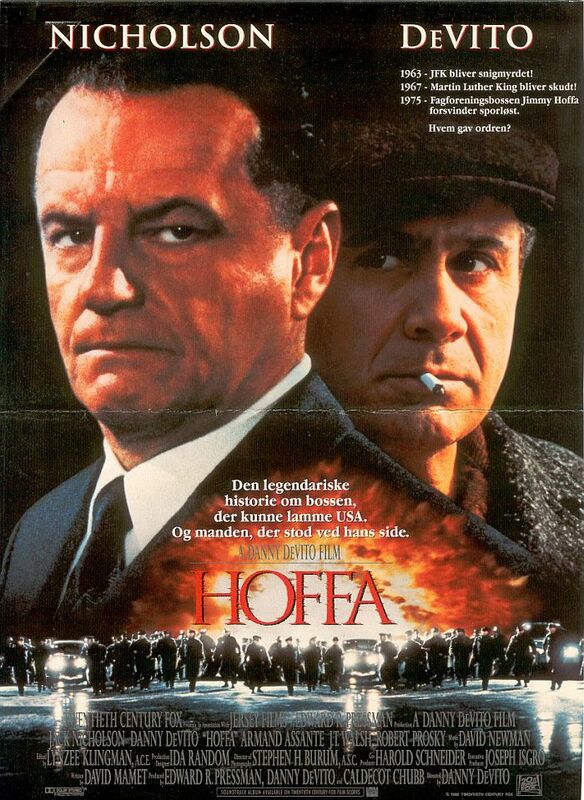 Actress Sorvino : MIRA. Oscar for her role in "Mighty Aphrodite." 26. Footnote abbr. : IBID. Short for "ibidem," meaning "in the same place." 28. Quiche essentials : EGGS. 30. Page with some right angles? : OP-ED. Another nice misdirection. 31. Auto pioneer : OLDS. 35. Literary olio : ANA. 37. "I need it yesterday!" : ASAP. 38. Country road : LANE. 39. "National Velvet" writer Bagnold : ENID. 44. Polishing outcomes : LUSTERS. 45. Babysitting nightmares : TERRORS. They're often holy. 46. Stylish ride : LIMO. 50. Make equal : EVEN UP. 51. Cook's Illustrated offering : RECIPE. Here's a great one for Beef Satay that I plan to try this weekend. 52. Lounge sofa : SETTEE. 55. Bit of dandruff : FLAKE. 56. Stopped waffling : OPTED. "Are you in, or out?" 59. Kazakhstan border sea : ARAL. 61. Sixth-day creation : MAN. 62. Law school accrediting org. : ABA. American Bar Association. 63. Race in the driveway : REV. I'll leave you with this. Till next week! 1) Below is constructor's note from Peg Slay. She also said "I love your blog, and review it daily after completing the crossword, or in some cases, to get the correct answers. The bloggers are great and do a fantastic job." I really like play-on-word themes, so the first theme entry of my puzzle came pretty easy – Canal of Worms. The others were more work. I really thank both Rich and Patti for their support and patience through all the revisions sent through. I truly appreciate the input they gave to me, a rookie, in getting this puzzle to print. 2) Happy Birthday to Splynter's mom! Hope he & his brothers make it extra special for you this year. Theme: Abbott and Costello, or "confusion at first" - the first words of each of the theme answers are anagrams of each other. 17A Hit a ball caught by Ted Williams, say : FLIED TO LEFT. Right off the bat a baseball reference - "The Kid" played all 22 years of his professional career as left fielder for the Boston Red Sox. On second thoughts maybe I should say "Left off the bat ..."
29A Outdoor sport with sticks : FIELD HOCKEY. I played this at school in the UK. It's tough on the shins, let me tell you. It's technically a foul to wallop your opponent's tibia, but schoolboys aren't big on technicalities. 45A Tried to collect unemployment benefits, say: FILED A CLAIM. I have a friend who works in the unemployment office who tells me her job is to make it as difficult as possible to do this. 60A Longtime Cuban leader : FIDEL CASTRO. Possibly as famous for loving baseball and cigars as being "El Jef Maximo". The theme was a big help to me today - I'm an anagram fan and when I'd got "FIELD" and FIDEL" I saw what was going on and filled in a lot of the blank left-hand-side of the grid which was giving me trouble. The 3-2-3-2 theme word count was pretty neat too. 1 President of Syria : ASSAD. Two world leaders in one day. 6 Foreigner, to a Polynesian : HAOLE. I've finally stopped trying to spell this "howly". It took me a while. 11 Many SSI recipients: SRS. It took me some time to understand this, but now I see that many seniors receive Social Security Income . 15 K.T. of country : OSLIN. Crosses for me. No idea. 21 On the line: AT STAKE. 23 Bar order in a very small glass : SHOT. The shot glasses in my bar are on the large side (I'm not complaining, Tinbeni wouldn't either!). 27 Seat of Garfield County, Oklahoma : ENID. 32 Rock or horse follower: OPERA. The Who's "Tommy" was the original rock opera with Pinball Wizard the iconic song. There are no standout horse versions almost by definition - if you have a formulaic western series - a "horse opera" - the very fact it has that label attached means it's not standing out from all the others. Fun phrase! 42 Reference ending : -PEDIA Wikipedia being the friend of bloggers everywhere. 52 “The Galloping Gourmet” : KERR. My mother was in love with Graham Kerr - the problem was she didn't pay any attention to his recipes or instruction. God rest her soul, but my siblings agree that her cooking constituted cruel and unusual punishment. We all learned to cook in self-defense - perhaps that was her cunning plan to get out of kitchen duty. 53 “... baked in __” : A PIE. Food! Four and Twenty blackbirds this gourmet filling. I know of an Australian company, "Four 'N Twenty, which produces meat pies, and a two-restaurant chain here in LA called "FourN20", originally selling dessert pies. 57 Bank holding : MONEY. 59 Short life story? : BIO. 64 Barcelona bear : OSO. Need to be on your Spanish toes (dedos de los pies Espanõl) today with three answers in Spanish. This is numero uno. 65 Get a chuckle out of : AMUSE. I get many chuckles out of these blogs. Cheers! 69 Run through 57-Across : SPEND. That's me. 1 Weimaraner warning : ARF. Any dog noise is a warning as far as I'm concerned. Grrs, Barks, Arfs and I'm wary. 2 San Juan sun : SOL. Numero dos. 5 Ignoramus : DODO. I feel sorry that the poor dodo is now synonymous with a dolt - they weren't ignorant in the unintelligent sense of the word, they were trusting and friendly - and ignorant of the fact that the humans they were cozying up to had nefarious intentions. 7 Syst. with hand signals : ASL. American Sign Language was developed by Thomas Hopkins Galluadet in 1817 and was taken directly from French Sign Language. The British, as they are prone to do, refused to work with Gallaudet when he traveled to the UK to learn the English method, whereas the French were delighted to share (also the Brits refused to have anything to do with the French as per normal). Ergo, the two English-speaking powers developed completely different systems. SNAFU. 8 Poisonous flowering shrub : OLEANDER. Pretty, though. I'm not sure if it's native to Southern California but there's certainly a lot of it about. 12 Dugout newcomer : ROOKIE. Jerome Gunderson today? 18 Polynesian carving : TIKI. To sell to the HAOLES. 22 Computer wonk : TECHIE. Guilty as charged. 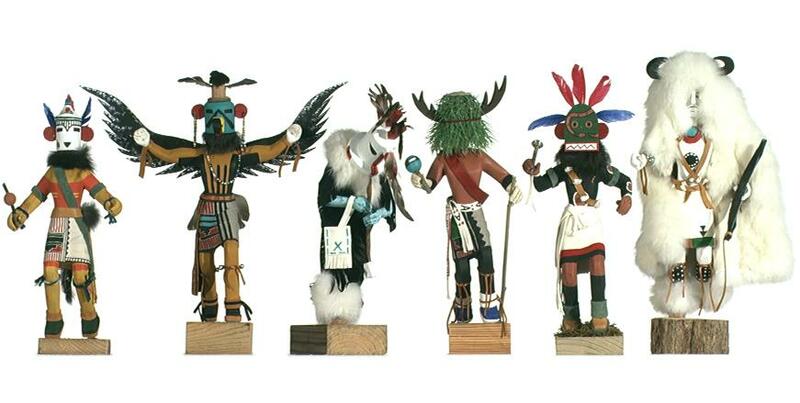 24 Kachina doll maker : HOPI. These are awesome! 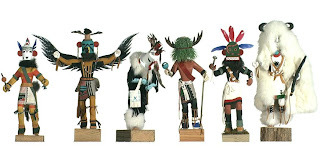 The Hopi spirit-creatures from Arizona. 26 Me. retailer, initially : LLB. I missed the period in the clue and was stumped as to who would be selling "me". Then oh! Then oh! L.L.Bean! 30 Bray beginning : HEE. Needs HAW to finish. 31 Philosopher William of __, known for his “razor” : OCCAM. Was he a "one hit wonder" in philosophy circles? I don't recall hearing about his toothbrush or his comb. 36 Cavity filler’s org. : ADA. That reminds me, I need to make an appointment with my dentist. 37 Paid for everyone, as the tab : PICKED UP. A very popular person, the check picker-upper. 39 Step stealthily, informally: TIPPYTOE. More nursery than informally, I'd say. 40 World Golf Hall of Famer Isao: AOKI. A hugely entertaining Japanese golfer now playing the PGA Senior Tour. On a side note, after 30 years of playing golf badly I've now hired professional help and I'm taking lessons. When my teacher saw my swing for the first time she said "Ohhh - that's funny". It's a good job I've got a sense of humor. 41 Swift sled : LUGE. Swift indeed. This is what 80MPH flat on your back on what amounts to a tray looks like. 43 Bar pint : ALE. You need one after the luge run. 45 Oxymoronically named British DJ __ Slim : FATBOY. I knew the name, I didn't know that he was a British DJ. Now I do, and I won't confuse him with the restaurant in Pulp Fiction, Jack Rabbit Slim's. Which I did. 46 Poker declaration : I RAISE. I'm a coward. I FOLD. 48 Sleeve band : ARMLET. You don't see these much any more - springy things to go around your arms to make your sleeves the correct length. You get the "just so" amount of cuff protruding from your jacket. Nowadays we buy shirts the right size, it seems the better approach somehow. 53 Greek fable writer : AESOP. He of the convenient vowel-count. 56 Garnish for a Moscow Mule : LIME. Vodka, ginger beer (not ginger ale) and lime. A friend insists it doesn't taste the same unless it is served in the copper mug. 61 That, in Spanish : ESO. Numero tres. I think that about wraps it up. Lots of food and drink references so I'm off to figure out what to cook for dinner tonight. Bon appetit! P.S. Constructor's insight -thanks to Jerome for sharing these notes! "I thought it intriguing, rare, and somewhat odd that you could have a five letter word that begins with a scrabbly F and no matter how you anagram it, it will still begin with an F.
Thus, FIELD, FILED, FLIED, and FIDEL. And there’s a fifth one, FELID, which means cat-like. However, that one’s on the cutting room floor with other obscurities. I knew this type of theme wasn’t going to knock anyone’s socks off… especially the crossword hip Corner crowd, but I hoped some might see it as interesting as I do. For some reason I had a tough time creating a grid that allowed for some juicy and fun fill. I think those damn F’s kept getting in the way. Out of the blue I asked Marti for some help, and like the puzzle pro she is, she designed today’s grid with those lovely NE and SW corners, and found a way to work in a whopping eighteen entries that are six letters or longer. After tweaking the grid a little and writing the clues, it was off to fame and great fortune with a puzzle you could say was all about the F-word. Or for the critics in the peanut gallery, the F-bomb." Theme: "How Much Farther?" - The ends are different measures of distance. 46A. Athletics group for kids : PEE WEE LEAGUE. 3 miles. Argyle right here. Give the kids the answer in these units and make them figure out how far it is for themselves. Right, Bill G.? The use of these words in the answers do not relate directly to distances; that's cool. Two a-words for Tuesday. Three tomorrow? All together, a decent puzzle that will end when we get there. But we're not there yet. 4. Like a male lion : MANED. The males have a ruff of hair. 20. With, in France : AVEC. Straightforward. 26. Carson's sidekick : McMAHON. Johnny's, yes, but who was Kit Carson's sidekick? 33. Geography suffix : ERN. Add them to the points on a compass. 44. "I hate it!" : "UGH!" 54. Shaving aid : LATHER. Shaving can be messy or so I hear. 59. Tornado-riding dog : TOTO. Hm, how to measure the distance from Kansas to Oz. 66. "Rosemary's Baby" author Ira : LEVIN. Perps supplied the answer. NO, we're not there yet! 2. Bart Simpson's "Holy cow!" : "¡AY,CARAMBA!" 4. The Phillie Phanatic, e.g. : MASCOT. On the left. 5. Alsatian dadaist : ARP. Jean Arp was born in the Alsace-Lorraine region. 6. Linguist Chomsky : NOAM. His web site. 19. Dial on a dash : TACH. Shortened words in both the clue and answer. 27. When repeated, a 1987 #1 hit for Billy Idol : MONY. Originally by Tommy James and the Shondells. 28. Lille lady friend : AMIE. Lille is north of Paris, on the Belgium border. 30. "F" that most school kids look forward to: Abbr. : FRIday. Clever. 39. Düsseldorf duo : ZWEI. In western Germany. 40. Giggle in an IM : HEE. Is this less than LOL? 45. Seagoing pronoun : HER. Ships are female. 51. __-mouthed: indirect : MEALY. In the sense of not saying what one means? 63. 100 yrs. : CEN. (century) Oh, it hasn't been that long. Theme: Young Boy's Dream - A girl can follow the first word of the starred answers. 17A. *Sensitive spot on the elbow : FUNNY BONE. "Funny Girl", based on the story of Fannie Brice, it will always be associated with Barbra Streisand. 24D. *Political head honcho : PARTY LEADER. "Party Girl"
Argyle here. I hope your Memorial is pleasant. This Monday puzzle is pleasant enough with an unusual grid. The two longest entries are in the columns, a short theme in the middle and the reveal where it belongs. But there is one dreaded A-*** word. 5. Like tails in the dog park : AWAG. Really? 9. Cupfuls after OJ and cereal : JAVAs. Not before? 41. Susan of "L.A. Law" : DEY. She hasn't been active since 2004 except, of course, in crosswords. 46. Actor's nickname that sounds like a golf term : BOGIE. Clip on how he came to be in a large sand trap. 51. Lawn cutters : MOWERS. The rain has stopped coming down but the grass hasn't stopped coming up. 52. Not entirely: Pref. : QUASI. Origin: Latin - quasi as if, as though, equivalent. 1. Arctic toymaker : ELF. One of my North Pole buddies. 2. Lucy of "Charlie's Angels" : LIU. Now she is on "Elementary" as Dr. Watson. 3. "That's just like a guy!" : "MEN...!" 7. Golfer Palmer, to fans : ARNIE. Still going. 32. Red, white or blue : COLOR. There will be a lot of all three today. 34. __ hall: campus hangout : REC. Yes, we know it's short for recreation hall. 48. "Ain't got a clue!" : "DUNNO!" Please click here for the 2rd installment on Rich's interview. Here is the first part. Theme: "Business Meetings" - LLC meets in the middle of 9 theme entries. 23A. "Gladiator" Best Actor winner : RUSSELL CROWE. I liked his "A Beautiful Mind" as well. 58A. Hotel supervisor : BELL CAPTAIN. Supervisor of bellhops. 70A. One in a hospital room display : GET WELL CARD. Get well soon, Lucina! 83A. Annual sports event, familiarly : FALL CLASSIC. World Series! I could not find the Mariners/Rangers (Friday) bad call clip on YouTube. Anyone else? 124A. Triceps-strengthening exercise also called a French press : SKULL CRUSHER. Looks hard. Let's just stick to our Russian twists. 17D. Old West showman : BUFFALO BILL CODY. Buffalo Bills was named after him. As soon as I downloaded the puzzle and read the title, I figure there must be something meet in the middle. LLC! Very clever. I guess you could hide INC also. Maybe it's done before. Love the theme entry placement. Always amazed when others make the intersection work. 1. They're put up in fights : DUKES. Put up your dukes. 20. 12-time NBA All-Star Thomas : ISIAH. He stumped some last time. 21. San Francisco mayor, 1968-'76 : ALIOTO (Joseph). Learned from doing Xword. 22. Draft-y building? : ALE HOUSE. Thanks for the - y mark! 26. Stomach opening? : GASTRO. A rather long prefix. 30. Eastern Nevada city : ELY. What is it famous for, Doha Doc? 34. Old European capital : LIRA. Last Sunday we had: "Former capital of Italy" : LIRA. My comment: I bet this clue would stump the Pope (Call me, maybe?). Capital refers to "money" here. Euro now. 47. Hackled headwear : SHAKO. The plumes are hackles. 52. About to faint : AREEL. How can we live without the A* word? 54. Cinematic sled : ROSEBUD. "Citizen Kane". 56. Supplier of household dishes : DIRECTV. Satellite dish. 66. Frosty material? : COAL. Nice clue. 68. They really never come home, figuratively : COWS. Til the cows come home. 77. Preschooler's protector : BIB. I attended school at age 7. How about you? I knew not even one Chinese character before then, having brought up by my grandma who had bound feet & was illiterate. I miss her so so much! 80. Asparagus unit : SPEAR. I like oven-roasted asparagus. 89. Not what a fox wants to hear : TALLY HO. Our next-door neighbor keeps feeding squirrels. They're ruining my garden. 93. Syndicated computer adviser Mr. __ : MODEM. TTP might read his columns. Not me. Never heard of the guy. 101. __-1701: Starship Enterprise markings : NCC. For Naval Construction Contract, per Wiki. "Star Trek". 106. Home of Iwatayama Monkey Park : KYOTO. Guessed. Have you been there, Yellowrocks? 109. This, to Tito : ESTA. Or ESTO. 119. "__ Full of Love": "Les Miz" song : A HEART. One 6-letter partial is allowed in LAT. 127. Banquet product : TV DINNER. Frozen dinner brand Banquet. 131. Look : ASPECT. Noun. 3. __ Suzuki, mother of Bond's unborn child at the end of Fleming's "You Only Live Twice" : KISSY. I had no idea Bond had a child. 5. Nepalese people : SHERPA. Some are. I don't like this clue. 15. Lounging site : CHAISE. The girl with the perfect legs. I bet Splynter wants to consort with her in the bar. 24. They have shuttles : LOOMS. Tricky clue. 28. Szmanda of "CSI" : ERIC. Doesn't ring a bell. 38. Sesame __ : SEED. Love deep-fried sesame rice balls. 42. Turin term of affection : CARA. "Dear". 49. Some military transports : LEARS. Unaware that Lears are used in the military as well, Dudley! 53. 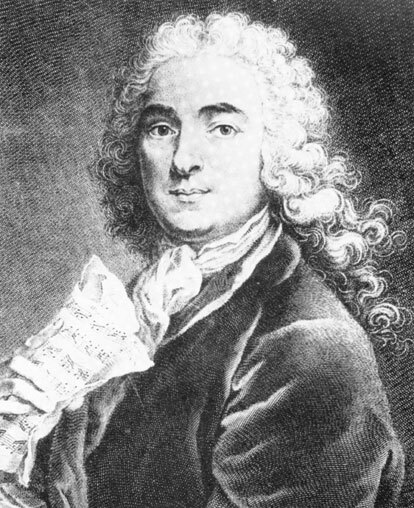 Baroque composer Jean-Marie : LECLAIR. No idea! 55. R-V connectors : STU. Alphabet. 60. Érié and others : LACS. French for "lakes". 73. Fist bump : DAP. Like this. 75. Taylor of "The Nanny" : RENEE. Fran's mother. 76. Opposite of likely : SLIM. Chance. 84. Sound on a track? : CHOO. Train tracks for the dumb blondes in Manac's joke. 91. Honey source : BEE. Hi there Melissa! 92. Victoria's Secret frill : LACE. I like this one. But in pink. Pretty & comfy. 96. Lullaby trio? : ELS. Three L's in Lullaby. 97. British poet laureate Carol Ann Duffy, for one : SCOT. Not familiar with the poet. Wiki says She is the first woman, the first Scot and the first gay to hold the position. 104. Fried Hanukkah fare : LATKES. Never had Latkes before. 112. German brewer Bernhard : STROH. Founder of Stroh's. 114. Dating word : ANNO. The A in A.D. Not the dating I had in mind. 117. __ Arena: Kentucky Wildcats home : RUPP. Gimme for PK. 120. 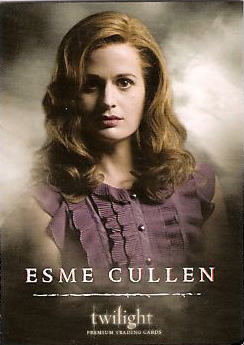 Carlisle's wife in "Twilight" : ESME. Played by Elizabeth Reaser. Don't miss this article on Rich's philosophy on cluing.